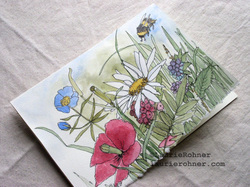 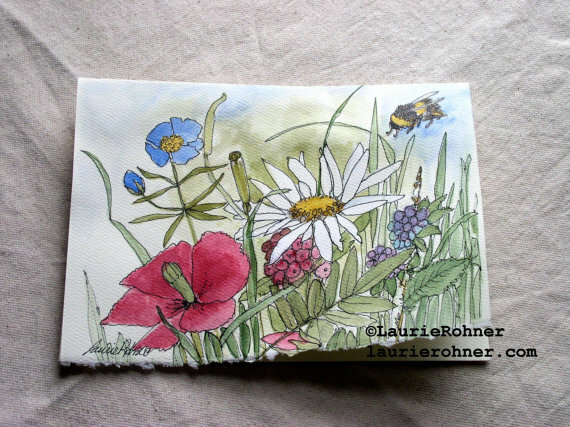 SOLD - Garden flower and wildflower in a botanical garden is a nature art original watercolor card and is blank inside ready for your notes or message. 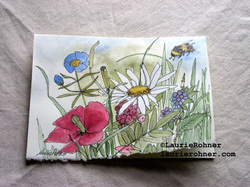 There are poppies, daisies and berries with a bee buzzing by mingled in between the weeds. 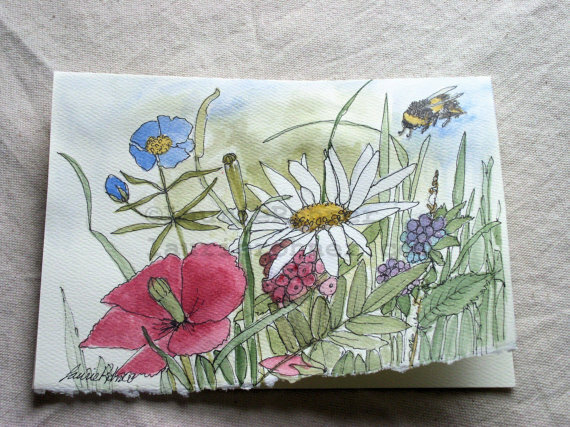 The title is Flowers and Berries.